Hi, We have 3 first time does who all delivered recently. They all appear healthy. My question is this. Why would one of my does have three babies at one end of the nesting box and three babies at the other end? I was so focused on the one set I did not even see the others for over a day. She also did not seem worried about covering one set while the other set was covered so well I did not even know they were there. Do I need to worry about her separating the kits? Kinda funny that some does occasionally do this! There is likely nothing to worry about. I suspect the doe simply got distracted, or she dropped the first three kits in one position, and then got herself turned around and dropped the last three while standing differently in the nest, forgetting to go back and finish tending to those first three kits. That's my guess, anyway. This is exactly why checking the nest after a rabbit gives birth is so important. 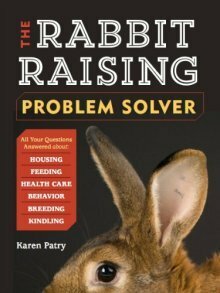 Even in the most temperate of environments, uncovered newborn kits can die of exposure, so checking the nest can save bunny lives, in your case, half the litter. You done good! What to do now: Just put all the kits together into the warm and snug covered nest. The doe will do all the rest. Plus, the chances are slim that she will do this again. My doe kindled 3 kits 6 days ago. She has two in one nest and one in another. I tried moving the kit with the other two and she moved it back. She is feeding all the kits just separately. I’m so happy to have read you have the same thing as it’s the only info I can find on the internet and I was concerned. So far so good! Just ensure that the singleton kit is able to stay warm. It might be wise to keep trying to put all three kits into the same nest. Good luck with everything! I have a first time doe that kindled three days ago. Last night I noticed she seemed to be forming another hole in her nest box. This morning, I think after feeding since the kits were nice and round, two of the six kits were in this new hole. I assumed that these kits had gotten out of the nest some how and put them back. However after her evening feed, two kits were once again in the same spot and I watched mom cover them up. Should I move them back with the rest? Is there a reason she seems to be moving her kits? Mom was very protective of her new second nest also. You *could* just leave the two nests alone. If in 24 hours one set of kits is thin and the other is round, you'll know to put all the kits back with the well-fed kits. If both groups are fat and sassy, then no problem. It is hard to know if the doe is intentionally forming two nests for her kits, or if the normal activity of the kits has developed a second impression in the bedding which the doe thinks should be deeper. If after nursing the kits naturally huddle into two separate groups, the doe may then cover up both nests. One thing you can be grateful for - it appears your doe has very good mothering instincts.